Chris Brush is a Nashville-based session drummer and percussionist with a unique take on modern music recording. With more than a decade of tour and session drumming under his belt, Chris brings his experience and professionalism to the web, offering his services as an online session drummer. 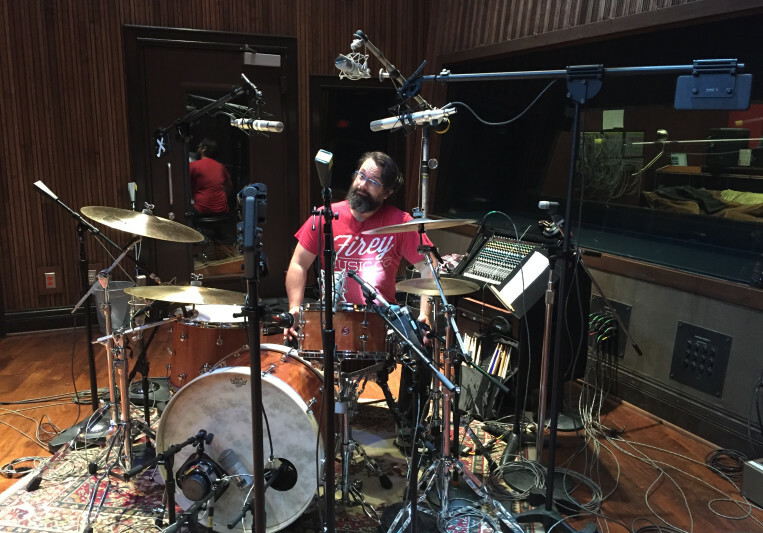 As more and more clients turn to online session drummers for their percussive needs, Chris’ goal is to give remote clients the same excellence and quality he brings locally to recording sessions in Nashville at a price that won’t break a producer’s budget. How does it work? Pick a package that is priced right for you, opt to include any number of offered Add-On Session Services and BOOM — drums tracks delivered with top notch quality and performance tailored to the sonic needs of your project and your recording budget. Chris’ setup offers almost infinite sonic possibilities and can be absolutely customized if desired. Whether you are a producer or an artist, independent or represented by a label, local or international, session drummer Chris Brush has a custom, creative, and musical percussive solution for your next recording. As a professional recording engineer and mixer in Nashville, I've had the opportunity to record and mix some of the best drummers in this business. Chris Brush is one of the finest drummers I've had the pleasure to work with. One of the finest human beings also. Chris always seems to get the feel of the track and the right drum tones so effortlessly. His playing (and engineering) are spot on, and I rarely need to do anything to his drum tracks. They always lay in that pocket, both groove-wise and sonically. Chris is truly one of THE elite drummers in the music business. I've been hiring Chris as a drummer for many years now and am always extremely happy with the results! He's a super talented musician, a great listener, caters to the song, thinks outside of the box, reliable, has amazing sounds and is just an overall fun and laidback guy to work with! You'll love collaborating with Chris! Chris’ musicality and prodigious talent with drumming, arranging, and mixing are rare in this industry. He cares about the music, the vision, and how his contribution translates to the listener. Can’t recommend him highly enough! For me , he is the best online drummer out there, and BTW with the best sound. 9 in 10 times better than the "big Ones" in the "Big Studios". for me 6 Stars ! Good grief...where do I begin? Chris is a craftsman. He articulates the spirit of the song and has a very respectful 'touch' when it comes to what I've been after as a producer. We've covered a lot of strange and wonderful territory, musically and perhaps philosophically, too, and I'm glad to say that I've had a musical partner who is able to help me advance into the unknown in the form of Chris Brush. Whenever I hear that Chris is on a session I know that the band is in good hands. Not only does he have excellent gear, tone, and taste but he's also extremely knowledgeable about all things music. I've heard what he's engineered, produced, and mixed and it all is at the same pro level as his drumming. All around great guy and always super fun to work with. I’ve had the pleasure to know and worked with Chris for many years and he’s one of my top “go to” drummers. His attention to detail, versatility and profressionalism is second to none. Besides his spot on musical drumming, he gets great tones in the studio. I look forward to getting the opportunity to work with Chris in the near future. I’ve worked with Chris multiple times tracking and producing. He is innovative and an amazing musician that brings a lot of ideas to the session. Always great to work with and can knock out a track as fast or as slow as you want to go. He’s always ready to dig deep into the music! I've been using Chris now for over a year and have found him to be a phenomenal professional who is a world class drummer as well as recording engineer. For every track I've given Chris I've received several options that both give me what I'd hoped for, and usually also something that surprises me and elevates the song in a way I couldn't have imagined. Everything is always superbly recorded with many options/different room mics/flavors of compression etc that complement the music and allow you to have all the flexibility you need to shape the sound. I highly recommend using Chris! Chris is f**king incredible! Finding a session drummer who could play metal with all of those fancy fills we wanted but without being too much was a concern of ours. None of us are drummers and the direction we provided was probably most difficult to interpret but after hearing samples from Chris, it was clear we'd found our guy. Dude nailed it! I don't think I've ever been disappointed in a take he's sent over, problem is picking just one. On top of drums, we have used Chris for engineering and mixing as well as used recommendations of his for other music related services. Two thumbs up! An absolutel consummate professional and major talent in the Nashville scene. You won’t be disappointed! His high level of drumming and recording prowess will satisfy the most ardent industy professional. Chris is a great drummer and my go-to person for remote sessions. Always top quality stuff, and he is also very good at following the clients requests. A: While I have played and worked on several projects of which I am proud for one reason or another, I suppose I am most excited about those that highlight the shrinking global community of musicians via technology and the mixing of various forms of media. Three examples come to mind. I once was called upon for a series of recording sessions with a client who flew from Germany to record at a heralded Nashville studio. The clients selected both the studio and myself through web-based inquiries. I was the only musician tracking as everything else would be overdubbed after the drums. As non-traditional as the sessions were, and as confusing at times as it was to not speak the same language, there was a joy in experiencing unity and commonality in the music. I once was part of the house band for a week long intensive course helmed by a famed recording and mix engineer. People from all over the globe paid to come to Nashville and learn. After the participants witnessed the recording setup and session, and realizing that the day-to-day for many of us was not the glitz and glamour of the high budget recording industry of yesteryear, I was able to take some time that afternoon and share what tips I had learned over my career concerning how to record drums in less than favorable circumstances. It was a privilege and pleasure to meet fellow studio engineers from all over and collectively reaffirm them that true success and the joy of making music have more to do with your unique passion than with Grammys, million-dollar spaces, and enviable mike lockers. Finally, I was once called upon to provide a drums-and-percussion-only soundtrack for a very short film featuring an abbreviated world history of space exploration. The film was to be used as part of a series of multimedia installations designed to spark young peoples' interest in STEM careers that advanced humanity's progress beyond Earth. The format required things of me very foreign to most traditional recording sessions and I welcomed the challenge. A: It differs from day to day. Some days see me recording heavy track loads solo at my studio. Some days I am at studios around Nashville recording with other players. Some days I am producing artists and helming their recordings. Some days I am mixing records. At any given moment I hope I could say I am working for and with people I enjoy and grateful to be a part of their artistic process. A: Either. It's about performance and passion over medium. Analog brings advantages and disadvantages as does digital. Analog offers a certain tonal "hug" -- a gestalt effect that favors warmth and harmonic saturation. Digital offers instant recall, editing ease, and consistent precision without having to rewind or break to align tape heads. A: I promise to approach every job with a desire to land a unique performance with options that allow the client to take their song beyond where they initially imagined. A: I love treating each project as a challenge to craft tones and performances that best serve the song and client desires. I love the stylistic diversity that remote clients offer. I love meeting people. A: - Q: Can you play _____ style? A: Yes - Q: How much do you charge? A: $150 per song for a Basic Master session (3 takes) , $225 for a Custom Master (multiple takes + sound selection and any necessary percussion) - Q: What should I provide? A: stereo WAV stems consolidated from beat one, measure one: one of all vocals, one of all instruments, one of any and all drum sequencing (if it exists) - Q: Can you play exactly what I've programmed in EZDrummer? A: Yes, for a $75 per song transcription fee that covers my time writing, learning, and performing your part - Q: How do I send you a song with varying tempo? A: Create a blank MIDI track and export that track. I can import it into Pro Tools along with your tempo map and markers. A: I find that with the proliferation of affordable quality project studios and VSTis, producers who have learned and perfected their craft in isolation and have not grown up setting foot in commercial recording spaces sometimes do not know how to trust a session player with their art and imagine beyond what they can program themselves -- especially in a remote setting. When working with clients who might fit this category, I see my job not only as that of a performer, but as an educator and encourager. A: - What are some drum sounds that inspire you? - What's your story? Why do you do what you do? - Is this your first time hiring a remote professional? 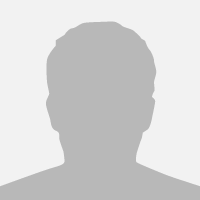 - What expectations/goals can you identify in hiring a remote session player? A: Make sure that you do what you do because you love it and not to chase your identity. A: I have been playing music professionally for the last 19 years. I have been recording my own drums for the last 10+ years, and have been working out of my own fully equipped, custom-built studio for the past 5 years. I have been in Nashville since 1999, having moved from my home state of Texas after graduating college. As for my career path, I scored my first touring gig in 2000 and managed to hop from gig to gig for a while. Some of the artists I played with made recordings and, in playing on those recordings, I learned that I LOVED being in the studio -- on both sides of the glass. The more I found myself recording, the more I wanted to learn about engineering and mixing. I started acquiring my own gear. I was lucky enough to buy a home and used my bonus room as a drum studio for a few years. I found a studio partner and we spent 6 years building our own studio that I moved into. Now, I record for both local clients around Nashville and remote clients all over the world and still occasionally travel to play live with various groups. Looking back, my path has been so different than what my 20-year-old self imagined and hoped for, at times baffling, and yet it has somehow been so much more satisfying and tailored to my personality than I could have ever conceived. Looking forward, I am excited about how I am positioned for the changing paradigm of music production and the business of recording. A: My style is energetic and refined. There are always ideas in my head that flit around and seem to make their way into tracks. At the same time, my experience serves to filter and refine the constant mental chatter. The result? Hopefully a wonderful balance between emotional dynamics and appropriate consistency. I believe myself to be the result of a supercollider collision between a jazzer and a rocker onto whom God sprinkled a beard. A: There are so many artists and producers I would love to work with. Before his untimely death, I would have loved to have worked with Chris Cornell. Music he was a part of was a huge influence on me when I was learning how to play. I would love to work with Duncan Sheik -- his arrangements and lyrical introspection really speak to me. Jason Falkner is an inspiring multi-instrumentalist, performer and writer. Jon Brion is a magical producer. Morphine impressed me with their fusion of lo-fi, jazz, and comfortable darkness. Big Wreck and Ian Thornley found a way to convey intricate thoughts as a wall of guitars. Daniel Lanois takes sound and creates three-dimensional ambience that invites the listener to be enveloped. Tchad Blake does amazing things with sounds and SansAmps. Man, just so many talented folks! A: If I could share just one music production tip it would be... GEAR DOESN'T MATTER! Learn to do the most that you possibly can with what you have! Until then, the difference between a $150 piece of gear and $3000 piece of gear will be moot. Performances matter. The source being captured matters. The space matters. Once you learn how to use what you have to capture great performances that move you, GEAR TOTALLY MATTERS! Only then do different recording tools become the varying paints on your palette that combine to create timeless art! A: In town, I generally play on music that falls into the Pop, Country, Americana, or Christian genres. With my remote clients, I have run the gamut between Heavy Metal, Latin Pop, Jazz, Rock, Punk, Electronic, and more. I love a stylistic challenge! A: My strongest skill is less a single ability and more the intersection of years of professional experience between drum/percussion performance, record mixing, and music production in Nashville, TN -- one of the busiest music cities of the United States. My training and experience as a drummer across numerous styles help me to deliver consistent passionate performances. My work as a recording and mix engineer help me to tailor the sounds of my drum offerings to match the mood and tone of the song. My work as a music producer help me to craft drum performances that best serve the song as a whole, whether simple or complex. The convergence of these three arenas of work allow me to provide top quality drums tracks that feel right, sound right, and make a unique statement that enhances an artist's authenticity. A: I bring passion and focus to a song. I treat each song as a unique work that means a great deal to the creator. I do my best to bring my skills and experience as a professional session player for over a decade to give the client both what they want to hear and hopefully some delightful options beyond what they expect in order to elevate the song they created to the highest possible level of expression. My goal is for my drum parts to evoke feeling and movement in the client as opposed to a heartless performance of percussive math. Beyond just the playing, I love sculpting the drum sounds and approach to compliment the sonic landscape of the recording so that the end result is a record-ready drum performance that seamlessly propels the client's song to the heart of the listener. A: Typically, a client contacts me asking for my availability. Once I am sure I can meet the clients production timeline, I ask the client to send me stereo WAV stems (all vocals, all instruments, all drum programming if it exists) for each song zipped into a archive named with the song title, tempo, and desired recording sample rate (I default to 48k unless otherwise specified). I set up my session with the client stems and track three quality takes. After payment is confirmed, I export all the multi-tracks for each take and send in a single zipped archive to the client through Dropbox. A: I work out of a 3 room facility I custom built from the ground up with a partner. We call it PlethoraTone for there is no lack of tone producing/recording/mangling tools (www.PlethoraTone.com). For drums, I generally record 16+ mics, depending on the needs of the song and client. We run a Pro Tools HD system and run our mics through a variety of modern and vintage recording gear, including a restored 1968 Langevin custom console complete with 21 AM16 preamps. 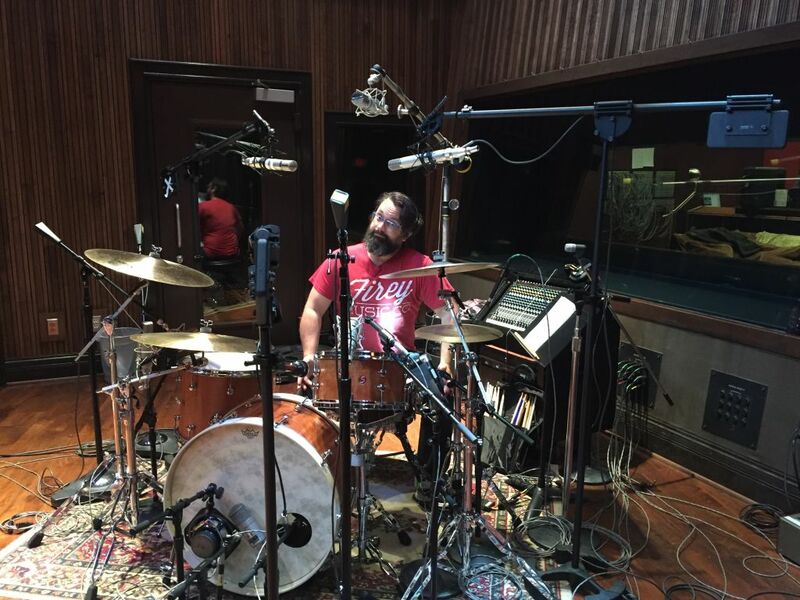 A: Most commonly I provide quality custom drum tracks for remote and local clients from my studio in Nashville, TN. People send me WAV stems for their song with some notes and choose a package: 1) Basic Master - three takes of up to 16 mics for $150 USD per song; 2) Custom Master - multiple takes of up to 16 mics, the added ability to choose the drum setup and sounds that best serve your song, as well as any necessary percussion and loop overdubs for $225 USD per song. Upon payment, I deliver clearly labeled multi-tracks that provide the client with many mix-ready options. Video - What Does a Session Player Do? hiring online. I hope this video helps!